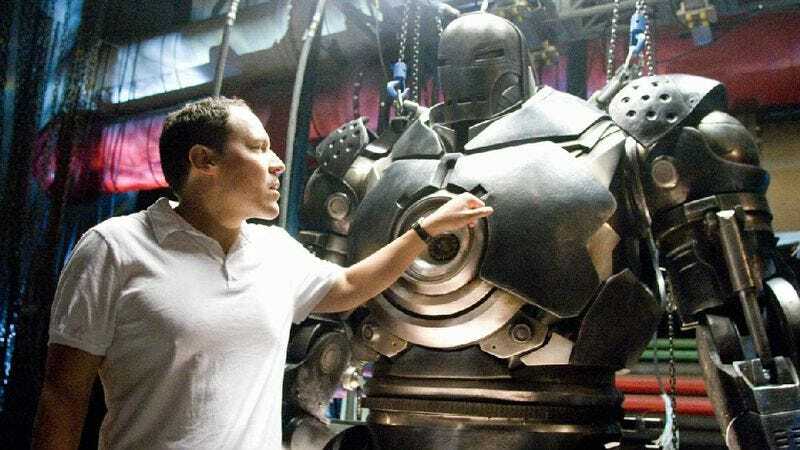 According to Vulture, “insiders” are saying that Jon Favreau has told Marvel Studios that he will not be directing Iron Man 3. At this point, neither Favreau nor Marvel has confirmed the story, so it still exists technically as a rumor. Nevertheless, Vulture reports that Marvel has already begun the process of finding a new director to replace him, and they’re usually pretty accurate about these things. So if not quibbles over money, that confusion and frustration with Disney and Marvel trying to turn his particular Iron Man world into just another episodic adventure—one populated by characters he’d had no part in shaping—may have led Favreau to just declare “creative differences” and walk away. And while it seems as though the studios are confident they can move on without him, and are still pushing ahead with the plan to have Iron Man 3 in theaters by May 3, 2013, what’s not clear at this point is whether star Robert Downey Jr.—who has final say on director in his Iron Man contract—will cooperate or join Favreau in exiting out of loyalty, or even fear that Favreau’s style is crucial to Iron Man’s success. Anyway, you can probably expect to hear more about this soon. UPDATED: Deadline's Nikki Finke just posted a bitchy little confirmation that Favreau has indeed exited the project, saying, "The website Vulture got there first but isn't very reliable so I waited to confirm and elaborate." Diplomatic!